An abstract of a work, usually of an essay, is a concise summary of its main points . . .
How do I eliminate back-to-back parentheses in a sentence? The General Franco Institute published the most important Spanish colonial work on Andalusi music, Patrocinio García Barriuso’s La música hispano-musulmana en Marruecos (“Hispano-Muslim Music in Morocco”) (1941). In 1941, the General Franco Institute published the most important Spanish colonial work on Andalusi music, Patrocinio García Barriuso’s La música hispano-musulmana en Marruecos (“Hispano-Muslim Music in Morocco”). 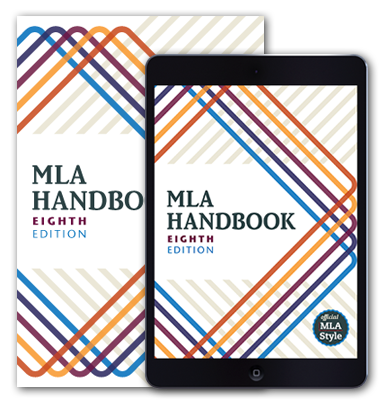 Does MLA style allow the use of slashed terms? The writer discussed how fundamental oppositions like good/evil or East/West affect the way cultures view historical events. If I cite a work that has no page numbers and I give the author’s name at the beginning of my sentence, how does the reader know where the author’s idea ends, since there is no parenthetical citation? Terry Eagleton argues that The Communist Manifesto is more relevant today than it was in 1848, when it was published. The language of class warfare permeates twenty-first-century discourse. Unlike my high school essays, my college papers consist largely of my own ideas and analysis . . . Dangling modifiers take several forms. Here are a few types—and some ways to fix them . . .